3) They have many small spaces where seeds can hide. 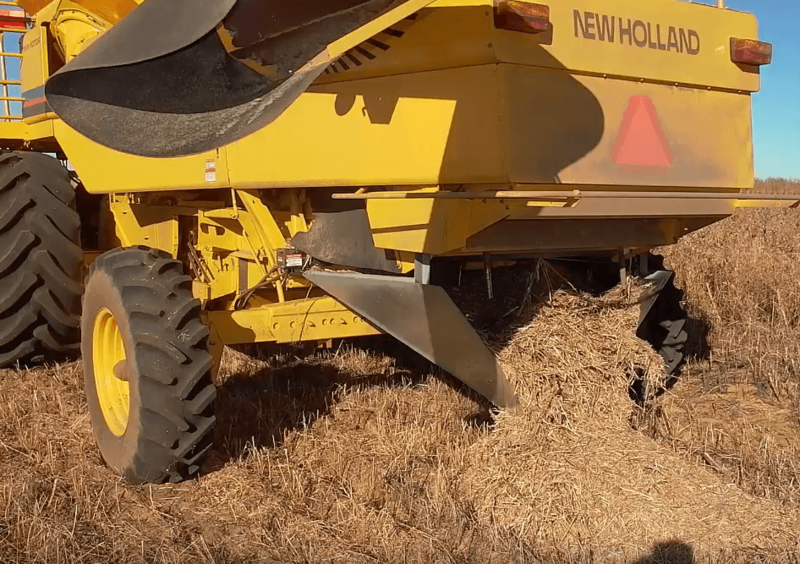 If herbicide resistant weeds have survived management attempts and remain at harvest, it is important to thoroughly clean the combine after harvest and to harvest infested fields last. Do not use combines that have recently been in infested fields. In severe cases, producers have chosen to forgo harvesting fields with heavy infestations of Palmer Amaranth or waterhemp in order to avoid spreading the seeds to other fields. For more information on preventing weed dispersal via equipment, please visit our tips for preventing the introduction of resistant weeds. A soybean field heavily infested with waterhemp that had been spread there by a contaminated combine during a previous year’s harvest. See how the plants are growing in distinct rows (W. Curran). Seeds are purchased from agricultural areas where herbicide resistant weeds are present, those weed seeds can be transported to other fields. Best management practices generally advise only planting certified crop seed. Certification programs are state-specific but always require diligent steps that help ensure that harvested crops do not contain problem weed seeds. Some states have laws in place to discourage the distribution of contaminated seed. If contaminated seed mixes are planted, it is quite likely that the weed seeds will germinate and start an infestation in that field. It is highly recommended to aggressively scout and control the field after planting to ensure that the weeds in the seed mix are not allowed to reproduce and spread. Animal feed and manure has been identified as a source of spread for herbicide resistant weeds over long distances and across state lines. Many weed seeds, like pigweed, can survive digestion and germinate after the animal defecates them. So, if livestock eat feed that contains weed seeds, their manure can actually spread viable weed seeds when it is spread onto the field. Some examples of livestock feed that has been found to be a common source of weed seeds include cotton in dairy rations, and chicken feed (and chicken litter that is distributed as manure). Wild animals can spread weed seeds as well. In the study below, University of Missouri weed specialists learned that ducks spread Palmer Amaranth during their migration from the southern US up to the midwest. Kochia is a prime example of a wind-dispersed herbicide resistant weed. Kochia, or “tumbleweed,” has confirmed glyphosate resistant populations. A main way it spreads is when plants dry up and are blown long distances through the wind. “Kochia trails” form through fields when the wind-blown tumbleweeds form trails of seed, and then those seeds germinate the next year. Kochia also has windbourne pollen, which can spread of resistant populations to neighboring fields. Herbicide resistant kochia has been found in western states & Canada including: Kansas, Nebraska, Colorado, North Dakota, South Dakota, Montana, Oregon, Alberta, and Saskatchewan. Learn more about glyphosate resistant Kochia here. Horseweed (marestail) is a summer annual or biennial broadleaf weed that has populations resistant to multiple herbicide groups. It’s present in many US states throughout the Mid-Atlantic and Midwest. The seeds are wind-dispersed, while they can also be spread via equipment, animal feed, or seed mixes. It is typical for horseweed seeds to travel within 1 km or up to several km in areas of higher wind speeds. If the seeds get caught in high verticle winds and end up in high wind currents, seeds and pollen can be carried much longer distances – even across state lines. 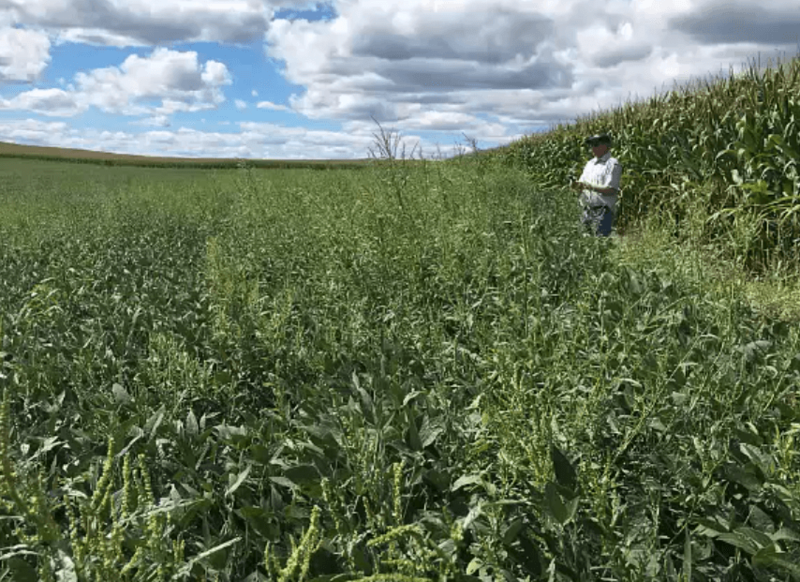 According to Mark VanGessel, weed scientist at the University of Delaware, the resistant horseweed that heavily infests Delaware farms may likely have gotten there by way of wind currents from the Midwest within a single year. 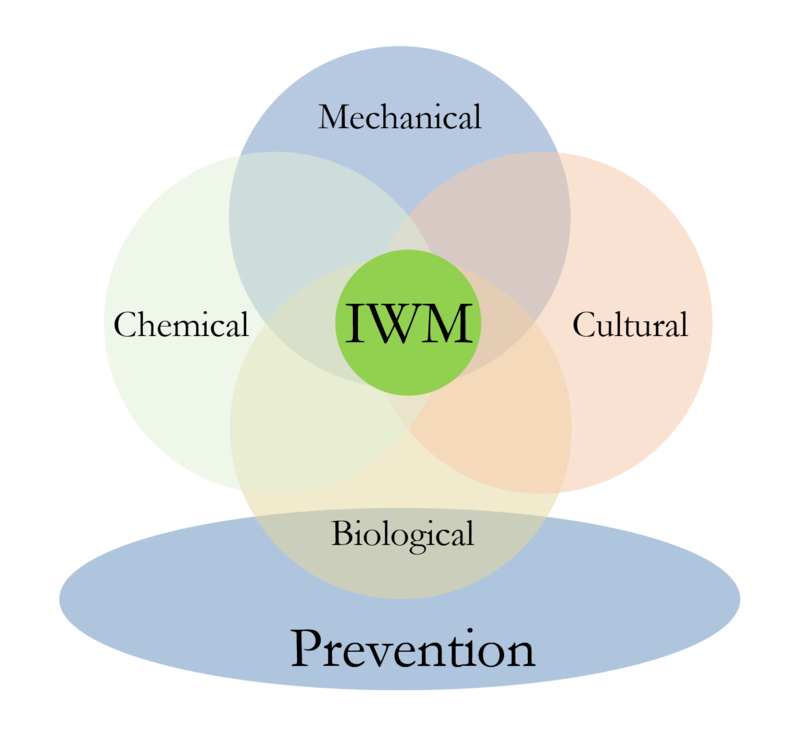 Learn more about horseweed here.